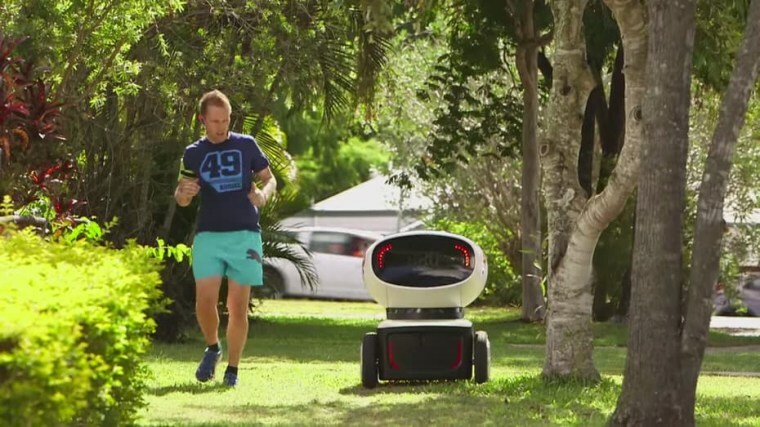 Domino’s New Zealand has introduced the world’s first pizza delivery droid. The three-foot-tall pepperoni purveyor delivers “piping hot meals” and has a “cheeky personality,” said the company. And his appearance is creating something of a stir down under. Developed in Australia, the “autonomous delivery vehicle” is half Wall-E, half baby carriage, with a sprinkling of R2-D2. Known as DRU (Domino’s Robotic Unit), the robot can hold up to 10 pizzas in a heated compartment that each customer unlocks with a unique code. DRU can travel on roads and sidewalks, and is armed with a special sensor to detect obstacles such as cars, lampposts, and curious bystanders. “Won't work. It needs to be airborne so hungry Maoris like me won't eat the contents,” wrote one pizza lover on the company’s Facebook page. Other social media commenters voiced concern over the practicalities of automated pizza delivery: “I doubt this thing could outperform a car going 50k [30mph], be able to open gates, climb stairs, dodge homeless people or avoid opportunistic thieves ready to pull it apart,” wrote James Stewart on the Domino’s New Zealand Facebook page.